Barriers erected by governments and licensing agencies are abetted by professional societies. At the Engineering Technology Leadership Institute meeting last fall, ASEE President Bevlee Watford heard an outpouring of frustration with the language, attitudes, and behavior of ASEE volunteers and staff. The next morning, invoking the civil rights movement, she encouraged the engineering technology community to speak up, become involved, and be persistent. This column is part of the speaking up. First, some brief background. Engineering technology (ET) education is focused on the practical application of math and sciences to the solution of engineering problems. Many engineering technology courses include intensive lab components instead of mathematical derivations. In these courses, the same topics are covered as in engineering courses. At some enlightened universities, the same faculty teach both engineering and engineering technology courses. Engineering technology educators perceive engineering technology as a different teaching and learning methodology. As the focus shifts to learning effectiveness, tailoring the course delivery method to different learner styles is encouraged. Being able to accommodate nontraditional learning styles is important as we reach out to veterans, underrepresented groups, and adult learners. So, if ET students get through their college careers successfully, and they get hired in their desired profession, what inequities linger? One is a salary disparity between ET and engineering graduates, based in large part on ABET accreditation commissions. Both the real salary differences and the lost opportunity costs affect all marginalized graduates. A second inequity lies in the federal job classification. According to federal rule GS-0800, a new graduate from an EAC of ABET program can be considered for an engineering position with the federal government, while a BSET graduate from an ETAC of ABET program needs at least a year of professional engineering experience before being eligible for consideration. As candidates for engineering jobs, BSET graduates are lumped in with graduates in chemistry, architecture, and mathematics, degree programs that may not require any engineering coursework or lab work. Some agencies block ET alumni even when the experience requirement is met. This classification poses a barrier beyond federal government employment, since it is often referenced at the state level, and in turn by both federal and state contractors. One way to satisfy the basic requirements for GS-0800 is through professional licensure. The most common requirement is EAC of ABET accreditation for the applicant’s degree program. States that do allow ET grads to seek licenses often do so with additional stipulations. The National Council of Examiners for Engineering and Surveying (NCEES), which produces the licensure exams, specifically states that “(e)ngineering technology courses cannot be considered to meet engineering topic requirements.” NCEES’s model law, provided to states to bring uniformity to the licensure process, explicitly excludes ET graduates. The National Society of Professional Engineers (NSPE) endorses this model law. The federal standard and licensing require EAC of ABET accreditation as basic credentials, and ABET is governed by the engineering professional societies. Yet, two societies that discriminate against ET graduates—NCEES and NSPE—both sit on ABET’s Engineering Technology Area Delegation and, in doing so, are in a position to maintain the inequity. ASEE accepts ad money from NCEES despite the explicit exclusion of ET graduates. ET institutions are also ineligible for the NCEES Engineering Education Award. Look at the inside cover of the March-April Prism and feel the love from NCEES. Now is the time for all of us in the ASEE community to affirm that our mission is really about serving the engineering profession through our students. We should divest from ad sources like NCEES that discriminate against some of our graduates; endorse the Engineering Technology Council’s call for ET graduates to be eligible to take the Fundamentals of Engineer exam; pressure ABET to change; and modify our internal language to be inclusive. Discrimination is an ethical issue in any form; it is time ASEE stood up for one of its own. 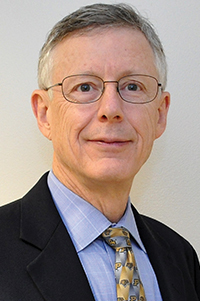 Kenneth Burbank, past chair of ASEE’s Engineering Technology Council, is professor and head of the School of Engineering Technology at Purdue Polytechnic. For responses to this column, please see Email from Readers.